God of War is coming to Funko. To be released in March of next year, we are getting a wave of Pops in support of the highly anticipated game being released around then. Curiously, there are no exclusives to be seen, which is a rarity. Although there are some bigger conventions between now and then, so the possibility of there being some is not zero. For now, fans will only have to track down four. Obviously, the main draw here is Kratos. They could make as many variations as they want of him and they would sell no matter what. He almost looks like he’s smiling there, doesn’t he? 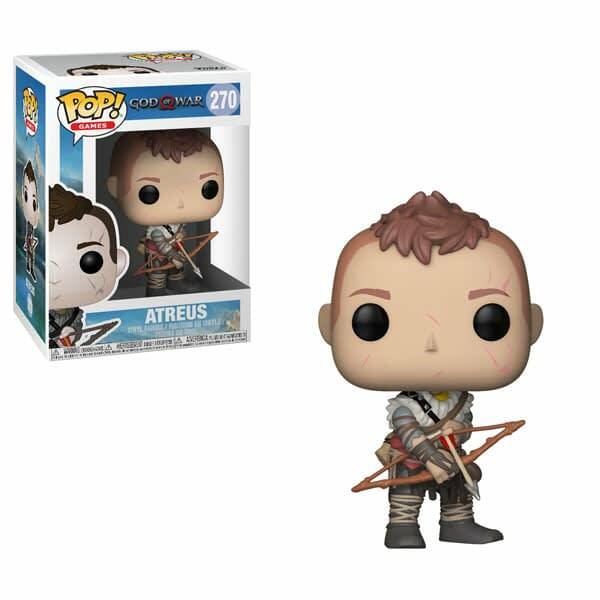 His son Atreus is the most basic-looking of the four; though I do like the subtle battle scars on his face. They give a pretty plain-looking Pop more character. The two standouts are the creatures. Look at that Draugr sculpt! That head is ridiculous; I would buy it just based on that. What a unique piece. And I am completely shocked that the Fire Troll is not a deluxe six-inch Pop. It even looks bigger just standing there. That may be an early contender for Pop of the Year once we can get our hands on it. So much detail and care went into that sculpt. Bravo, Funko. Bravo. Funko Roundup: Saga, Star Wars, Monster Hunter, Bendy, and More! Is Valerio Schiti Teasing the Return of Something Special to Marvel?